Zac Posen is known for his ability to dress women beautifully. His dresses often have flirty, fun details, clean lines and sharp cuts. His accomplished approach to design has translated well to his new handbag collection. Posen’s bags are the distinct opposite of his feminine it-girl frocks. Simplicity rules – the collection exudes classic style with only a hint of details. 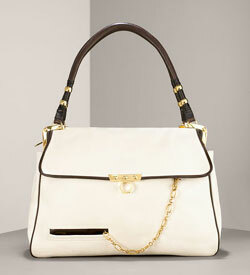 Though understated, Posen’s handbags are the perfect complement to his dresses. 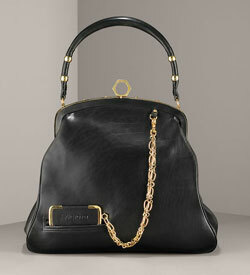 Posen’s Beatrice Quilted Bag is his modern take on Chanel. 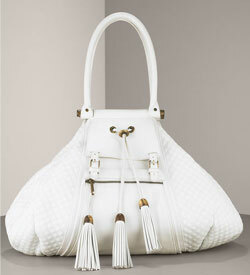 The triangular–shaped satchel boasts a quilted body, hinged handle, and a trio of tassels. For his Antonia Flap Bag, Posen borrows a page from a book of nautical design, with his hardware, styling, and other details. The Alexia Framed Bag is reminiscent of a modern day doctor’s bag, with a gold chain connecting the top frame to a lower front pocket. The basic black and white color palette makes these bags wearable all year round. For more information, visit Zacposen.com or Neimanmarcus.com.